Club Baseball traveled to Lehigh University and swept a three games series from the Mountain Hawks over the weekend of October 6th-7th. Tom Muraca got the Pride off to fast start with a solo homerun in game one, and Hofstra never looked back, as the strong pitching of Stephen Locorriere, James Zobian, John Cooke, and Brandon Santos helped pushed the team’s record to 5-0 in conference. Hofstra will look to finish off the fall season undefeated when they travel to Montclair State University on Saturday, October 27th. Club Ice Hockey hosted Stevens Institute of Technology at Northwell Health Ice Center on Friday, October 5th. Vinny Cacciatore and David Frattroli would score to give Hofstra a 2-0 lead, but the Ducks would quack back to even the game at 2-2 and send the game to overtime. 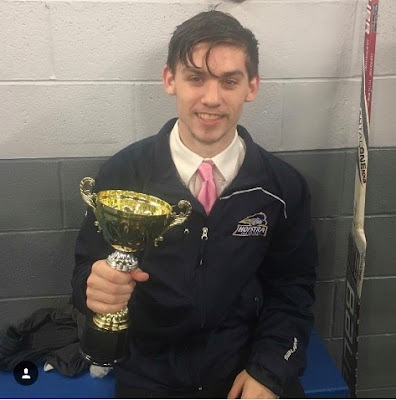 Neither team would score in the overtime session, and the game would head to a shootout, where Hofstra’s Joe Grice netted the game winner for the Pride, as they won 3-2. Club Ice Hockey’s Joe Grice after scoring the game winner in the team's 3-2 win over Stevens Institute of Technology on Friday, October 5th. On Saturday October 6th, the Pride traveled to Rowan University in New Jersey to take on the Profs. Despite goals from Chris Serio and Brandon Caccavale, Hofstra dropped the game by a score of 10-2. The Pride are back in action on Friday, October 12th against St. Thomas Aquinas. Club Roller Hockey traveled to Feasterville, Pennslyvania for a preseason tournament from October 5th-7th. The Pride would go 1-2 on the weekend, with a win over Baruch College (9-4) and losses to Drexel Univeristy (7-4) and RIT (9-0). 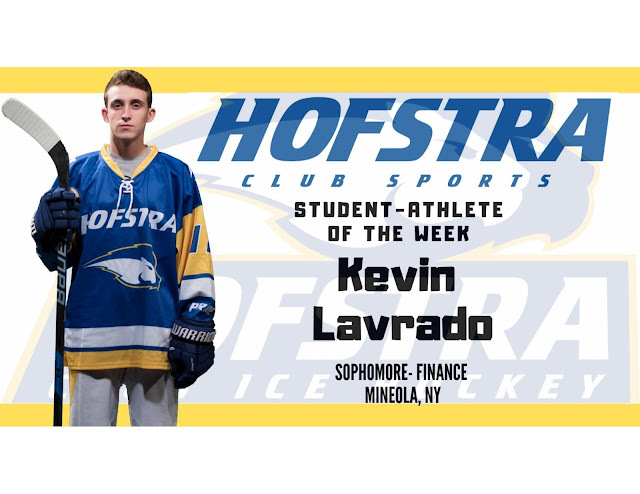 Kevin Lavrado led the team with 3 points over the weekend. Club Women’s Rugby dropped an 83-5 decision to Fairfield University on Saturday, October 6th. Karleigh Groves recorded the lone try for the Pride. Club Tennis hosted a tournament on the Hofstra Tennis Courts on Saturday, October 6th and Sunday, October 7th. Hofstra’s doubles entry of Andrew Ko and Dejan Perich Soto captured the doubles championship. All proceeds from the tournament will be donated to The INN (Interfaith Nutrition Network). Club Men’s Ultimate hosted a tournament at Hofstra University on Saturday, October 6th and Sunday, October 7th. 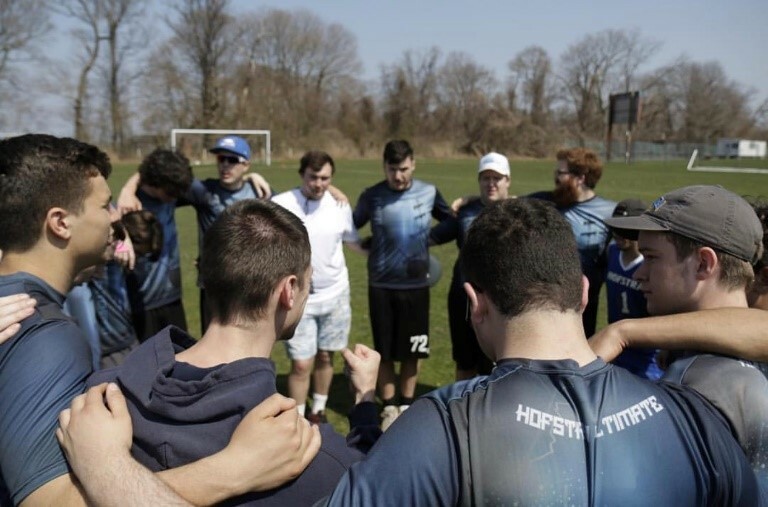 Hofstra would manage two wins over St. John’s University and settled for a 5th place finish. Men’s Ultimate preparing for their tournament on Saturday, October 6th at Hofstra University. 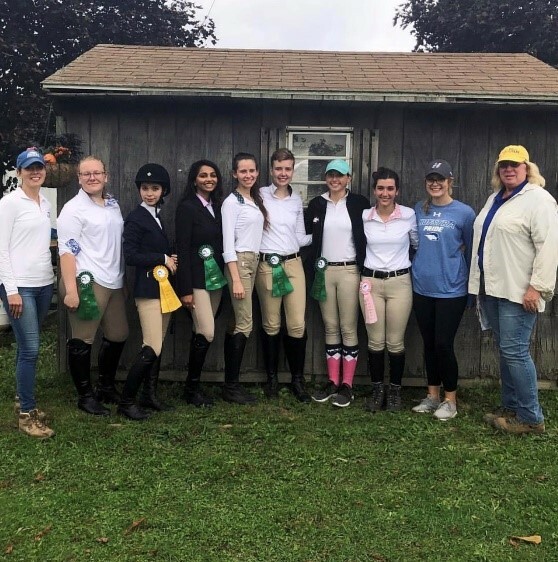 Club Equestrian had 9 members participate in the St. Joseph’s College show at the Good Shepherd Farm on Sunday, October 7th. Maya Palmer finished 3rd in the walk trot, while Julia Shalov finished as a reserve in the advanced walk trot canter. The next show will be hosted by Columbia University at the Bergen Equestrian Center on Sunday, October 14th. Club Equestrian after their show at the Good Shepherd Farm on Sunday, October 7th. Club Quidditch traveled to Bayonne, New Jersey for a tournament on Sunday, October 8th and came away with a 1-2 record on the weekend. The club will host a tournament on the Hofstra Intramural Fields on Saturday, October 13th. Club Climbing traveled to Brooklyn Boulders Queensbridge on Saturday, October 6th. 5 more members of the club became belay certified, increasing the pool of members who can help safely climb high walls on rope. The club will travel to the Gravity Vault in Melville on Saturday, October 12th. Lavrado led the Pride in scoring with 3 points at their preseason tournament in Feasterville, Pennsylvania.